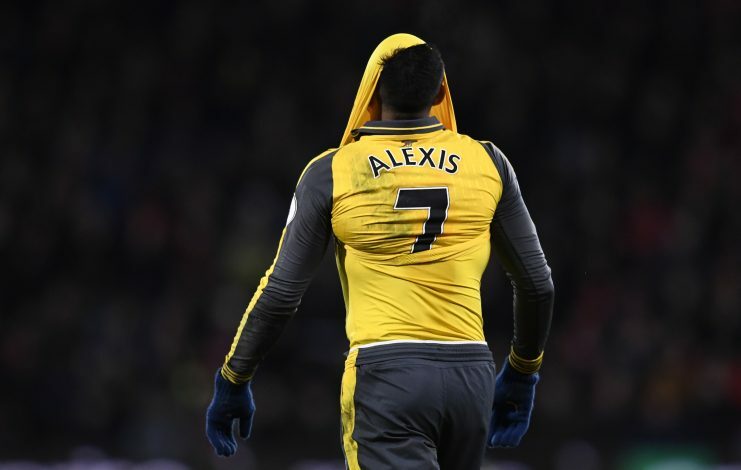 Everything about Arsenal is currently revolving around their main man Alexis Sanchez and he is reportedly uncertain about his future and with his actions after being subbed off in a 4-0 win over the Swans were enough to cause greater worry among the fans regarding his time left at the club. However, things have gotten a bit more interesting at the London Club after Sanchez’s latest Instagram post that has left the fans curious and wondering what the Chilean means with his random social media upload. This caption has left all football fans, especially those of Arsenal, perplexed and everybody is trying to figure out the meaning behind such a random message. “Dramatic text.. what is wrong” and many many more. However some reports believe, his post might be related to the passing away of his close cousin recently at an early age of 43. Arsenal are currently preparing to face Burnley on Sunday and Liverpool’s clash with Spurs on Saturday might give Wenger’s men the chance to get near Chelsea at the top of the pile. If Arsenal have any chance of being champions this season or anywhere close to it, players like Ozil and Alexis cannot afford to leave the club and with the fans right behind their back, we hope for Arsenal’s sake, the number 7 won’t break their hearts anytime soon.